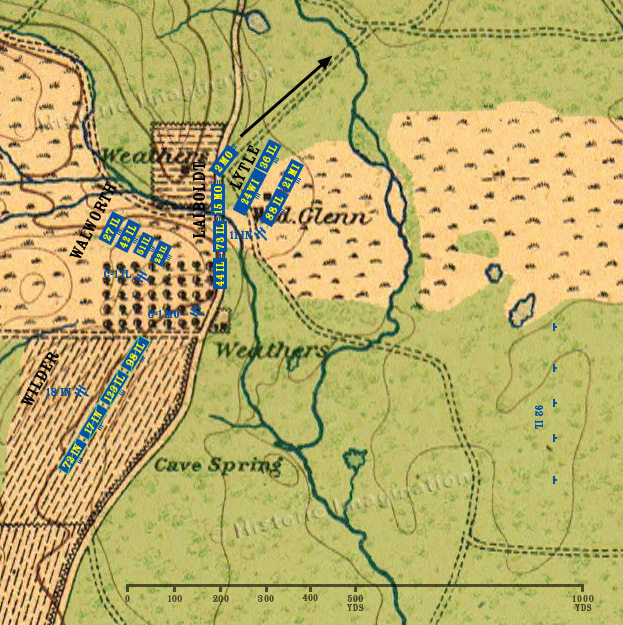 General Rosecrans has ordered Sheridan’s division north toward the fighting. Laiboldt’s brigade has been ordered to support General Davis, and is the first to leave. The remaining two have been ordered farther north to help General Thomas.